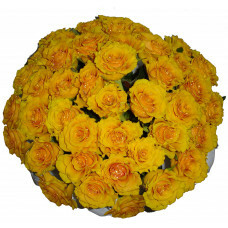 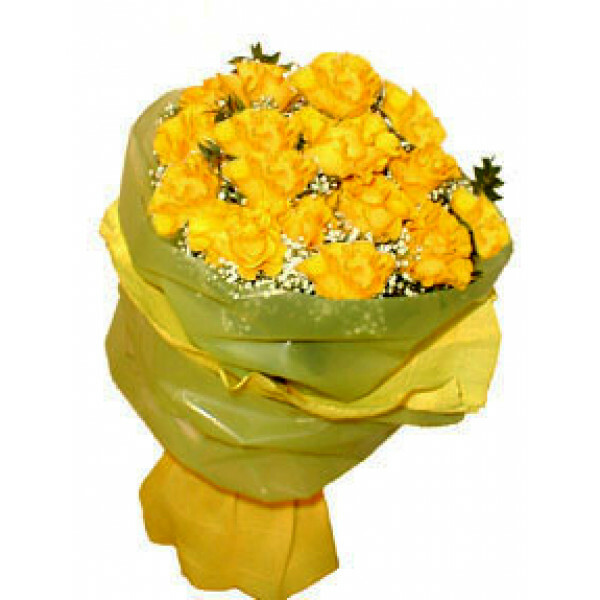 Spectacular, round bouquet of yellow roses, refreshed by gypsophila. 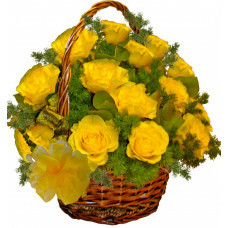 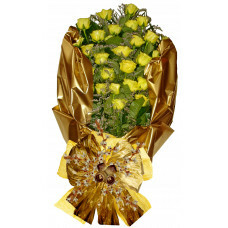 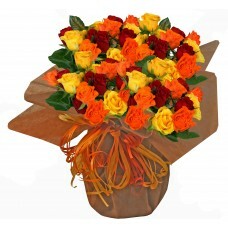 Send yellow roses to show friendship or admiration. 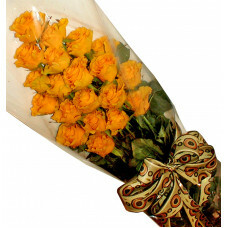 Do not send yellow roses to someone you care about because he will think that you just want to be friends.